Dr. Julia Gunn explains how progressive civil rights politics enabled Charlotte, North Carolina, to become the nation’s second-largest largest financial capital while obscuring its intransigence towards working-class protest, including public sector sanitation workers, bus drivers, firefighters, and domestic workers. Gunn is a Critical Writing Fellow in History at the University of Pennsylvania. 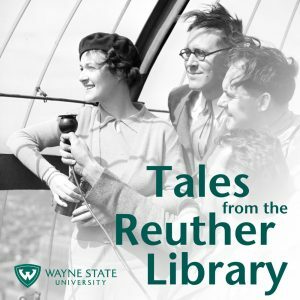 Gunn’s research visit was supported through a Sam Fishman Travel Grant, which provides up to $1,000 for scholars to support travel to Detroit to access archival records of the American labor movement in the Reuther Library. The award is named in honor of Sam Fishman, a former UAW and Michigan AFL-CIO leader.